Tell us about your role and how you got here. What inspired you to join Adform? I had been handling partnerships at Adslot and before that, I worked at Facilitate Digital. From my experiences at those two companies, I learned how important global strategic partnerships are and got an education in the programmatic media trading ecosystem. I had also been at Operative and had agency experience when I worked at Saatchi so, I got to see the inner workings of those kinds of organizations. Throughout all of this, I lived in Europe and in the US. Living on both continents gave me a bird’s eye view of the challenges on both sides of the pond. Being in the industry, I noticed that there was a dearth of full-stack solutions from independent companies. Adform was one of the only companies that was fully independent. I came to Adform because I saw a unique offering in the marketplace and wanted to be a part of a global company doing things better than the rest. 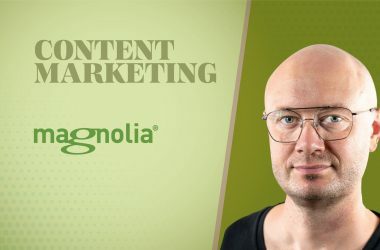 I thought the industry really needed what Adform built. And you can see from Sizmek buying Rocket Fuel (and from other acquisitions) that big companies are trying to buy what Adform has built itself. So, I definitely think we are onto something. Why do you think being a full-stack independent platform is so important? Well, it definitely makes us different. Today, you can find companies that offer DMP, DSP, or CRM. But what most brands really need are the different elements to talk to each other and work seamlessly together. If you are going to assign different people for different things, you are going to run into friction along the way. I’m really proud of the advantages we provide with an independent full-stack offering. How is the ecosystem changing? More and more M&A is happening these days. You see the big holding companies gobbling everybody up. Regulation could be an interesting development. Adform made a lot of noise last year with the discovery of Hyphbot. Tell us about that. 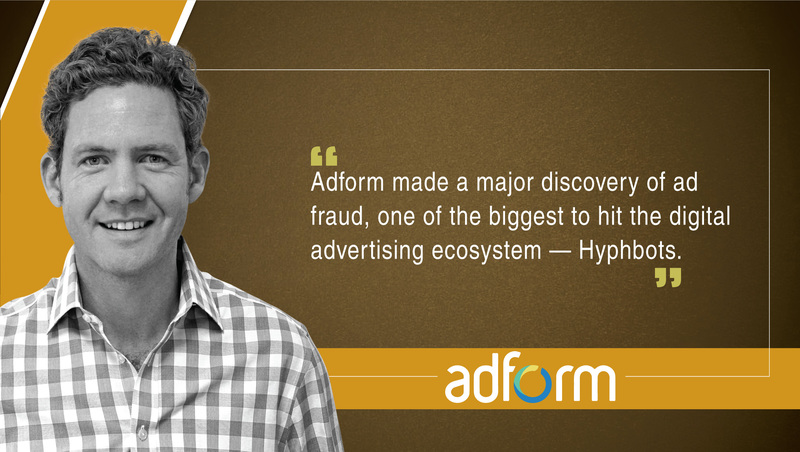 Adform made a major discovery of ad fraud, one of the biggest to hit the digital advertising ecosystem — Hyphbots. In many ways, it was larger than the Methbot threat discovered by Whiteops. Hyphbot had been in operation since August 2016. Most of the ads in the scheme were video to garner the higher CPMs (and translate to a bigger take). The masterminds behind this “domain spoofing” scheme used more than 34,000 domain names and a million distinct URLs, disguised to make it seem to advertisers that they were buying ads on high-profile publications. The list of publications hurt by the fraud includes The Financial Times, The Economist, CNN, and The Wall Street Journal. The fraudsters created a network of infected computers and then used these “bots” to direct non-human traffic to the bogus addresses, getting money from advertisers and stealing revenue from legitimate publishers. The fraud would have been largely preventable by following the new standards set forth in the Ads.txt initiative launched by the Interactive Advertising Bureau, but publishers and advertisers have been slow to adopt the rules. So far, over 36,000 Web domains have joined the Ads.txt system. We exposed this in an effort to encourage publishers to implement ads.txt quickly, which an important step for the industry. We also wanted to assist our exchange/supply partners in identifying and eradicating this elicit source of supply and help others in the ecosystem — including our competitors — recognize and prevent further malicious and fraudulent activity. What have you seen at Adform as a result of GDPR? GDPR’s timing was interesting. About a month before it was due, we saw Mark Zuckerberg testify in Washington. This meant all eyes were on Europe to see if GDPR was something that could be replicated stateside. At Adform, we have actively worked with IAB Europe for a long time and many clients had GDPR requests since most brands and agencies require a lot of assistance on this. Cookies become personal data under GDPR. This means that marketing departments are legally required to prove compliance to the authorities with respect to all of their AdTech and many of their MarTech deployments. That is a huge task for our clients and agency partners and GDPR demands a lot of attention internally both from IT and legal departments. Our approach is to provide our clients with a full GDPR readiness package, which includes action lists, certifications, and more which we supply after conducting workshops, but I am afraid it is too large a topic to outline the entire strategy they need to follow here. I can only encourage everybody to make sure they are ready before May 25, 2018. What opportunities for media practitioners and marketers do you think can be derived from bringing together previously disparate communication channels — such as display, video, OOH, radio/audio and TV — into consolidated platforms? Planning: Better channel attribution and based on a feedback loop, therefore, improved planning and messaging by channel. Better activation: Holistic picture of the consumer and ability to activate the right message on the right channel at the right time in the consumer journey. Improved allocation of spend: Increased ROI, cost efficiencies by planning communication in a holistic fashion reducing waste and leveraging the right channels at the necessary stage in the consumer journey. Benefit to consumers by providing beneficial messaging reducing the intrusive, repetitive nature of managing frequency by channel. Cognitiv and Beeswax are both doing very interesting things in our space, as well as Lucid to improve visibility into data quality. GiveWith (an Adform client) is innovating on media models that drive social benefit at the same time as delivering marketing effectiveness. Not so much a start-up now but has been a pleasure to watch their evolution. I am also very interested in the whole start-up ecosystem and love areas where AI is being deployed to drive efficiencies, accuracy and as a result, social benefit. Would you tell us about one standout digital campaign? I love when clients use the mix of creative messaging across channels, delivering entertainment and benefit at each step of the journey. I think many automotive brands are starting to do a good job in this area, leveraging mobile, display, video and even DOOH at different stages of the funnel to achieve specific outcomes, such as test drives. Aplomb – actually more accurate would be frenetic. Hire “rockstars” — smart, driven people who want to excel. Give them an opportunity to excel and then delegate. 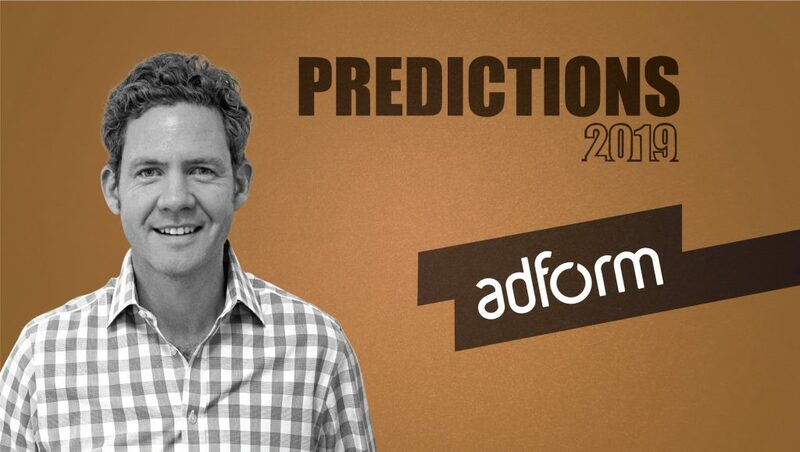 Julian Baring is Adform‘s General Manager Americas. He started his career in agencies at BBDO and Saatchi & Saatchi before co-founding travel-site Weekends.com. He has more than 21 years of digital and technology industry operating experience across a variety of management roles including marketing, sales, corporate and business development, operations. Julian has previously held senior executive roles at Vodafone, Operative, Facilitate Digital and most recently Adslot. He has worked and lived across the UK, Europe, and Asia-Pacific. Julian has an MBA from Oxford University and studied his Bachelor of Arts at Brown University, USA. Adform – Built as one integrated Platform since 2002 Adform provides an integrated Software as a Service platform for the buying, managing, and serving of digital advertising. 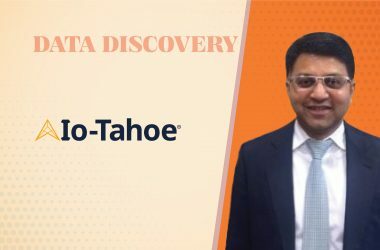 The company’s software consists of a Data Management Platform, a Demand Side Platform, and an Ad Serving Platform with advanced analytics, reporting, and creative tools that drive high impact digital advertising campaigns globally.